The Border–Gavaskar Trophy is a Test cricket series played between India and Australia. It is currently played via the International Cricket Council's future tours program, with varying lengths of time between matches. If the series is drawn, then the country holding the trophy previously retains it. The series is named after Australia's Allan Border and India's Sunil Gavaskar, both of whom have scored over 10,000 Test runs in their career, captained their respective teams, and were world record holders for most runs scored in Test match cricket. Matches played in Australia: Seven Network and ABC Radio in Australia. Sony Pictures Sports Networks India, All India Radio in India. Matches played in India: ESPN STAR Sports in India, DD National in India, All India Radio in India. Fox Sports and ABC Radio in Australia. Cricketing contests between the two nations have always been of high intensity. The importance of the series is also fuelled by Australia's desire to beat India in India in a Test match series, which, until their victory in the 2004–05 series, they had not done so since 1969–70. India has developed a reputation of being particularly difficult to beat at home, having lost only two test series since 1986–87. Conversely, India had never managed to win a test series in Australia until 2018-19 series. The competitiveness of the series played between the two sides is also reflected in the fact that in both 2000–01 and 2007–08, it was India who ended Australia's runs of 16 consecutive test wins. Matches in India are commonly described with labels like final frontier or iconic event. The test series held in India in 2000–01 was labelled the final frontier by Steven Waugh and it lived up to its reputation. Applauded by many as the greatest test series of modern times only rivalled by the 2005 Ashes series, it had the closest result in decades with India overpowering the mighty Australians in the final session of the final test at Chennai. The series also gave the cricketing world three champion cricketers in Hayden, Harbhajan and Laxman who were relatively unknown or under-performing till then. They were the cornerstones of the series and the duals between Laxman & Australian bowlers on the one hand; and Harbhajan & Hayden on the other are often termed the most engrossing player rivalries in a test series of cricket. The series was played in the backdrop of the death of legendary Sir Donald Bradman who was quoted as saying that he was very much looking forward to the series and had high expectations of both the teams. The competitiveness of series played under the trophy is illustrated by the approximately equal number of Test wins each side has achieved. The 1996–97 one-off Test was the first to be played under the Border–Gavaskar Trophy. This was also Sachin Tendulkar's first series as captain. The series consisted of just one match, played at the Feroz Shah Kotla Ground in Delhi. The match, played from 10 October to 14 October 1996, lasted just over four days, as India defeated Australia by seven wickets. Australia won the toss and elected to bat. But the Indian spinners, led by Anil Kumble, bowled them out for 182. Michael Slater top scored with 44 runs. In reply India scored 361, riding on Nayan Mongia's career best 152. In Australia's second innings, Steve Waugh scored 67 to get his team to 234. This left India with 56 to get in the fourth innings, which they did for the loss of three wickets. Sachin Tendulkar, top-scorer in the series. The Australian cricket team headed over to India in February–March 1998 looking to get their first win in India since the 1969–70 tour. The first test in Chennai saw Sachin Tendulkar scoring 155 from 191 balls to give India the win by 179 runs with Australia crumbling under the spin trio of Anil Kumble, Venkatapathy Raju and Rajesh Chauhan as they got out on 168. The second test at Kolkata saw another dominating performance from one of the Indian batsman with Mohammad Azharuddin 163 runs in India's only innings as India won the test match by a innings and keeping the Border-Gavaskar Trophy in India. The final test at Bangalore saw Sachin Tendulkar get his second hundred of the series. In response, Mark Waugh got the Australians first century of the series with 153*. Australia with the help of Mark Taylor century would chase down the 194 runs that India set for them as they got the consolation win from the series to end the series at 2–1 in favour of India. At the end of the tour, Shane Warne famously said that he would be having nightmares of Tendulkar hitting him for sixes and that only Bradman was in his class. Heading into the first edition of the Border–Gavaskar Trophy, it was predicted to see an Australian win based off the back of the 3–0 series win at home against Pakistan. In the first test at Adelaide, Australia got the win based from an first innings century from captain, Steve Waugh while Damien Fleming's five wicket haul in the second innings saw the collapse of India who was bowled for 110 runs to give Australia a 285 run win. Australia would take home the second test in Melbourne by 180 runs despite Tendulkar's century in the first innings. This test also saw the debut of Australian bowler, Brett Lee who would go on to reach seventy two test caps for Australia. The final test in Sydney saw another Australia win, this time by an innings and 141 runs. This was done with centuries from Justin Langer (223) and Ricky Ponting (141*) as Australia scored 5-552 in their only innings. Despite an effort from V. V. S. Laxman who scored 167 runs from 198 balls in the second innings, the damage was done in the first innings with India being bowled out for 150 with Glenn McGrath leading the charge as he got 10 wickets for the match. Harbhajan, pictured here bowling in the nets, was the man of the series. The 2000–01 series commenced on 27 February 2001 and concluded on 22 March 2001. The series consisted of three tests, played in Mumbai, Kolkata and Chennai. India won the series 2–1. The First Test was played in Mumbai on 27 February-1 March 2001. The game was over in only three days as Australia dominated from the beginning, putting India in to bat and then dismissing them for only 176 runs. Glenn McGrath took 3–19 and Shane Warne 4–47, Sachin Tendulkar top scoring for India with 76. Australia responded with 349 on the backs of centuries by Matthew Hayden (119) and Adam Gilchrist (122). Harbhajan Singh took 4–121. India's second innings was barely better than their first, Tendulkar again top scoring with 65 in a total of 219. Needing only 47 runs to win, Australia's openers knocked them off in 7 overs, taking Australia to a 10 wicket victory and a 1–0 lead in the series. The Second Test at Eden Gardens in Kolkata on 11 March-15 March is regarded by many as one of the most exciting games of cricket ever played. It began with Australia electing to bat and scoring 445, captain Steve Waugh contributing 110. Harbhajan Singh took 7–123, including a hat-trick, which was the first Test hat-trick by an Indian bowler in 69 years of Indian cricketing history. India's woes continued, being dismissed for only 171, with McGrath taking 4–18 in a brilliant bowling performance. Australia enforced the follow-on, and at the end of day 3 India were 254/4, still 20 runs behind forcing Australia to bat again. For many spectators, commentators, and even players, the match and the series were as good as lost for India. The fourth day saw the turnaround. V.V.S. Laxman and Rahul Dravid batted the entire day, never offering a chance, and ran the Australian fielders ragged as Waugh called on nine different bowlers to try to break the partnership. Laxman and Dravid added 376 runs, taking India to 589/4 and a commanding lead in the game. In the process, Laxman set a new individual high score record for India, surpassing Sunil Gavaskar's 236. Laxman was finally dismissed the next day on 281. Dravid made 180, and India declared on day 5 at 657/7, setting Australia an almost impossible target of 384 runs. Australia did not immediately crumble under the reversed pressure; at tea, they were 161/3 for their final innings, and a draw looked the most likely result. Then, the Australians lost 5 wickets for 8 in a span of 31 balls, with Harbhajan taking the first two wickets in the same over and Tendulkar taking the other three. Australia fell for 212 all out, with Harbhajan leading the bowling attack with 6–73. India had come back from the dead and recorded a stunning 171-run victory to level the series 1–1. They were only the third team in history to win a Test match after following on. The Third Test began at Chennai on 18 March with high expectations of a hard-fought series decider. Australia won the toss for the third time and elected to bat. Hayden batted through the first day for an eventual total of 203, but the rest of Australia's team contributed little to the total of 391. Again, Harbhajan Singh was the destroyer, taking 7–133. India pushed to 501 on the back of Tendulkar's 126. Australia ended day 4 at 241/7, a precarious lead of 131 runs. Early on day 5, Harbhajan again ran through the Australian tail, taking 8–84 and his series tally to an astounding 32 wickets, leaving Australia all out for 264. India had a target of 155 to chase, and plenty of time to do it. The only question was whether Australia's bowlers could get them out first. In 42 nail-biting overs, India steadily lost wickets, sinking to 135/7, a tantalising 20 runs short of victory, but in dire danger of losing their last batsmen before they could score them. The 8th wicket fell at 151, 4 runs short of victory, and it was left to wicket-keeper Sameer Dighe and Harbhajan Singh to see out the end. Harbhajan Singh scored the winning runs past point and sealed the game and an incredible comeback series victory for India. The series victory for India meant that Australia had still not won a series in India for over 30 years. The Indian cricket team toured Australia during November 2003 – February 2004. The tour included a four test series, which commenced on 4 December 2003 and concluded 6 January 2004, with test matches in Brisbane, Adelaide, Melbourne and Sydney. The test series was drawn, 1–1, and hence India retained the Border–Gavaskar Trophy. Before this tour, India had a poor record in Test matches away from home having won just 18 out of 176 Tests. The previous tour to Australia in 1999–2000 had resulted in a 3–0 defeat and India had not won a Test match in Australia since 1981. The first Test match was played at Brisbane from 4 December to 8 December. In a rain-affected match, Australia got off to a good start with Justin Langer scoring a hundred. Scores from the remaining three batsmen out of the top four (Hayden (37), Ponting (54) and Martyn (42)) took Australia to 262 for the loss of just two wickets at the end of first day's play. Only 18 overs were possible on the second day but the Indians picked up seven Australian wickets for the addition of only 61 runs. The third day was again affected by rain and only six overs were bowled, at the end of which, India were 11 for no loss. India started the fourth day well, but three quick wickets reduced them to 3–62. But Sourav Ganguly (144) and VVS Laxman (75) took India to 409 and a first innings lead of 86. When the last day started, only the first innings had been completed, and the match appeared to be heading for a draw. However, Australia scored quick runs as four of the top five batsmen scored fifties. Matthew Hayden scored 99 runs in 98 balls faced, as Australia declared on 284. India had scored 73 runs out of the target of 199, when play was stopped with the consent of both teams. Sourav Ganguly was Man of the Match. Australian batsman Ricky Ponting scored consecutive double centuries during the series. The second match was played at the Adelaide Oval from 12 December to 16 December. Australia won the toss and elected to bat. Ricky Ponting was the highlight as he scored 242 runs, while contributions from Simon Katich and Jason Gillespie lower down the order took Australia to a first innings score of 556. Exactly 400 of these runs were scored on the first day. India started their first innings well, but four quick wickets meant that they were in trouble at 4–85. But Dravid and Laxman, the heroes of Eden Gardens in 2001, put together a partnership which took India to 388 before Laxman was dismissed for 148. Dravid went on to string together partnerships with the tail, and was the last man dismissed as India scored 523. Rahul Dravid scored 233. The third Test match was the traditional Boxing Day Test played at Melbourne. India got off to a good start, with Virender Sehwag scoring 195, and ended the first day at 4–329. But in the first session on the second day, wickets fell quickly and India were bowled out for 366. Australia, in their first innings, put up 558 runs, with centuries from Hayden (136) and Ponting (257). This was Ponting's second double hundred in as many matches. Anil Kumble picked up six wickets. India started the second innings 192 runs behind. Dravid (92) and Sourav Ganguly (73) were the only players to cross fifty, and India were bowled out for 286. This gave Australia a target of only 95, which they achieved for the loss of one wicket, levelling the series at 1–1. Ricky Ponting was Man of the Match for his 257. The fourth and final test was the New Year's test at Sydney, notable also for being Steve Waugh's last Test match. India won the toss and elected to bat first. The opening stand between Sehwag (72) and Chopra (45) was worth 123 runs. The spotlight, though, was on Sachin Tendulkar, who had not had success with the bat on the tour. He responded by scoring 241 unbeaten runs and put up 353 runs for the fourth wicket with Laxman (178). A cameo from 'keeper Parthiv Patel took India to 705–7 declared, India's highest ever test score. Australia started well, with Hayden and Langer putting up a 147 run opening stand. But they were in trouble at 7–350 before Katich and Gillespie put on 117 runs for the eighth wicket to take Australia to 474, Anil Kumble taking 8–141. India started the second innings 231 runs ahead and requiring quick runs to force a result. Sehwag (47), Dravid (91*) and Tendulkar (60*) all contributed, as India raced to 211 in 43 overs to set Australia 443 to win. Four overs at the end of the fourth day produced no wickets and Australia had to play out the last day to save the test, while India needed 10 wickets to win. The Australian batting responded well under pressure, with Langer, Ponting and Martyn scoring forties. But at 4–196, with more than one session to go, the match could have gone either way. However Steve Waugh, playing his last test, and Simon Katich put the match out of India's reach. Waugh scored 80 and Katich was unbeaten on 77 as the match was drawn despite 4 more wickets for Kumble which gave him 12 wickets for the match itself. Despite Kumble's efforts on a flat wicket, Sachin Tendulkar was Man of the Match for his unbeaten scores of 241 and 60 in the match. The series score was maintained at 1–1. The Australian cricket team toured India from 6 October 2004 to 5 November 2004 for a four test series. The series featured matches played at Bangalore, Chennai, Nagpur and Mumbai. Australia won the series 2–1. This was Shane Warne and Glenn McGrath's last tour of India. They came with the desire to end Australia's 35-year drought of winning a Test Match series in India. Before this series India had performed poorly in tours of Sri Lanka and the Netherlands, and in the ICC Champions Trophy. Australia won the first Test played at Bangalore comprehensively. The Indian batting order collapsed twice and they didn't look at any point that they could have made a match out of it. Michael Clarke, playing his first ever Test match, scored 151 runs to take Australia to a commanding position. Harbhajan Singh took another 10-wicket haul (5–146 and 6–78) in the match. Anil Kumble took his 400th wicket. Clarke was awarded Man Of The Match. Being 1–0 down in the series, India started the second Test match played between 14–18 October 2004 at Chennai on a positive note. They got rid of Australia in the first innings for a mere 235 runs. Earlier, Justin Langer (71) and Matthew Hayden (58) started the Australian innings with a bang. They contributed 136 runs for the opening wicket. When it looked as if Australia would dominate this Test as well, Anil Kumble struck consistently and produced a beautiful bowling spell in which he took 7 wickets for just 48 runs from his 17.3 overs. Australia's innings collapsed from 189–3 to 235 all out. In reply India scored 376 runs and took a commanding lead of 141 runs. Virender Sehwag scored a magnificent 155 runs, Mohammed Kaif on his comeback match scored 64 and was well supported by young Parthiv Patel (54). Shane Warne took 6 wickets for 125 runs. The top order of Australian innings again collapsed in the 2nd innings, but then Damien Martyn notched up a century (104) at the crucial time with the result being that the Australians had scored 369 runs in their second innings, setting a victory target of 229 runs for India to win. India had a good chance of winning the game, but rain on the final day prevented any chance of play, therefore, the match ended in a draw. Anil Kumble took 6 wickets for 133 runs and was awarded Man Of The Match. The Third Test of the Series was played between 26–30 October at the Vidarbha Cricket Association Ground at Nagpur. Australia won the match and Series in four days. Australia posted 398 in their first innings, with Damien Martyn posting 114 runs with Michael Clarke making 91. In contrast, India played poorly in their first innings and none of their top order batsmen got going. The only batsman to make above 50 was Mohammed Kaif (55). Sachin Tendulkar, who returned from injury, made just 8 runs. India made 185 runs, 14 runs short of the follow-on. Australia rejected the follow-on and began their second innings, setting a target in excess of 500. But once again the Indians were bundled out for 200. None of the frontline batsman made a big score. Sehwag and Patel provided some hope but fell to the Australia's metronomic bowling. Australia won the third Test by 342 runs. Martyn was awarded Man of the Match. With this win, Australia won this Test series after 35 years of trying for success in India, a feat which has been termed the final frontier by Steve Waugh. The fourth and final Test match was played between 3–7 November 2004 at the Wankhede Stadium, Mumbai. Having already lost the series, India made changes in the team. Patel, Akash Chopra, Ajit Agarkar and Yuvraj Singh were all dropped from the lineup. The first day of play was almost completely washed out by rain, with only 11 overs being bowled. India won the toss and elected to bat. The innings started on a bad note, losing 2 wickets on the first day itself. On the second day India was bowled out for their second-lowest score ever of 104 runs, with Rahul Dravid scoring the highest score in the innings of 31 runs. Jason Gillespie (4–29) was the main wicket taker for Australia. Australia's first innings also didn't last long, as they were bowled out on the same day for a score of 203 runs, with Martyn (55) top scoring. Murali Kartik (4–44) and Kumble (5–90) were the main wicket takers. 18 wickets fell in all on the second day of play. India made 205 runs in their second innings, with significant scores from V.V.S. Laxman (69) and Tendulkar (55). Michael Clarke (6–9) removed the tail order within 23 runs. Chasing 107 runs for victory, Australia lost wickets consistently throughout their second innings and were bowled out for 93 runs, giving India a victory by 13 runs. Harbhajan Singh (5–29) and Murali Kartik (3–32) took most of the wickets. Murali Kartik was named Man of the Match. This Test is one of the shortest Test matches ever played, lasting for only 2 complete days. The pitch prepared for the match had later come in for a lot of criticism by Ricky Ponting. Damien Martyn was named Man of the Series. The Indian cricket team toured Australia during December 2007 to March 2008. The tour included a four-test series, which commenced on 26 December 2007 and concluded 28 January 2008, with test matches in Melbourne, Sydney, Perth and Adelaide. Australia won the series 2–1. Australia won the first Test in Melbourne by 337 runs within four days. Australia scored 343 runs in the first innings riding on Matthew Hayden's 124. In reply, India folded for 196 with Clark and Lee taking 4 wickets each. India was set a target of 499 runs which they never challenged. Australia won the second Test by 122 runs in Sydney on the 5th day,seriously accused of using unfair means and even Ponting’s involvement of bribing the umpires to win the test match as it had a huge impact on the series for Australia. With only nine minutes to spare – Michael Clarke took 3 wickets in what would probably have been the second last over. India fought back with a win in the third Test in Perth by 72 runs. Two changes were made to the Indian team for this game, dropping the out of form Yuvraj Singh, and Harbhajan Singh, and recalling Virender Sehwag and Irfan Pathan. Australia had also made two changes to their team. Chris Rogers was brought in to replace the injured Matthew Hayden to become the 399th Test player for Australia. Shaun Tait was brought in for tactical reasons to replace Brad Hogg as Australia went with a four-pronged pace attack. India won the toss and elected to bat and the changes were to have an immediate impact. Jaffer and Sehwag contributed for the first opening partnership above fifty of the tour. Dravid, now relieved of his opening duties, found some semblance of form and was dismissed just short of a century on 93 as the highest scorer of the innings as India reached 330. Pathan's recall to the team was immediately successful, dismissing both Australian openers. Australia's top order collapsed, leaving them at 5–63, as they struggled with the swing bowling of the Indian pace attack. A century partnership between Symonds and Gilchrist helped Australia recover to 212, which gave India a lead of 118. In India's second innings, Sehwag again proved his worth as he scored 43 in 61 balls to give momentum at the top of the order. At the dismissal of Jaffer, Pathan came in as night-watchman and scored 46, the second highest score of the innings behind Laxman's 79. India were eventually dismissed for 294, leaving Australia the imposing target of 413 to win. Australia were bowled out for 340, 73 runs short of their target, and India once again put a stop to an Australian 16 Test winning streak. Pathan again dismissed the two Australian openers, while Sehwag proved a useful contributor by dismissing Gilchrist and Lee. Australia's team changes proved unsuccessful, with Rogers having scores of 4 and 15, and Tait, wicketless in the match and bowled sparingly. Ponting, in a post match interview with Channel 9, laid the blame for the defeat on a poor first innings batting performance, while Kumble praised the contributions of his team and his young pace attack. Normally, in Australia, during their era of dominance, the final matches of a series was usually a dead rubber. Thanks to India's emphatic performance in Perth, which could have provided for a good final match at Adelaide for people to watch. India once again won the toss and elected to bat first. India made one change, bringing back Harbhajan Singh in place of Wasim Jaffer. Australia made two changes, Hayden comes back after recovered from injury in place of Chris Rogers, erratic Tait gives a way to Brad Hogg. This test was the last test for wicket keeper Adam Gilchrist. Opening the innings with Pathan back-fired for India, as he got out early. On a balancing first day, India made total of 309–5, thanks to major contribution from Sachin Tendulkar's 39th ton. Tendulkar went unbeaten on 124 on the first day. On the second day, Sachin and Dhoni got out early, but a stubborn innings from Kumble and an attacking innings from Harbhajan took India past 500. Kumble was unlucky to miss a century and he was the last man to get out. Australia played with caution and they did not lose any wicket on the second day. Australia were at 62–0 at stumps. Australia's openers went on to dominate and made a 159 for the opening wicket. At one stage Australia were 241–3. Australia were finally bowled out for 563. India's efforts went in to saving the Test match, but India once again lost Pathan early in the innings. India finished 4th day at 45–1. Sehwag went on to score 151. Even though other batsmen fell cheaply, his innings made sure that India would not lose the test match. Kumble declared the India innings at 269/7 and the match finished early as tame draw. Tendulkar was awarded the Man of the Match Award. The first Test of the 2008–09 season was played at M. Chinnaswamy Stadium, Bangalore. This match ended in a draw. The second Test Match was played at the PCA Stadium in Mohali, Punjab. The Indians dished out a clinical all-round performance to outclass Australia by a record 320 runs on Day 5 to lead the 4-Test series 1–0. This was the biggest win for India in Test match cricket excluding an innings victory. 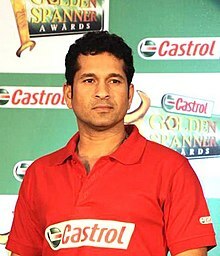 It was a historical match for India with Sachin Tendulkar who became the highest run scorer in Test match history surpassing record of 11,957 runs marks and on the way becoming the first man to score 12000 runs in Test cricket history. It was a historic outing for Sourav Ganguly too, as he passed 7000 runs in Test cricket and scored a century in the process. The Third Test Match was played at the Feroz Shah Kotla in Delhi. Anil Kumble, The Ace Spinner of Indian National Cricket team declared his retirement from the Test Matches after suffering from torn fingers. He was also the captain of the Indian side in this game. The match ended in a draw and VVS Laxman was declared the Man of the Match. Gautam Gambhir and Laxman scored double hundreds in India's First Innings. The Fourth Test was played at the Vidarbha Cricket Association Stadium in Nagpur. India won by 172 runs to regain the coveted Border-Gavaskar trophy after a gap of four years. After setting the visitors a daunting target of 382 for victory in a turning fifth day track, India went on to dismiss the Aussies for 209 at just before the tea to wrap up the four-match series with a 2–0 margin. It turned out to be a perfect gift for Sourav Ganguly by his teammates in his farewell Test as they bowled out the Aussies in just about two sessions of play on the last day. Indian fast bowler Ishant Sharma was declared the man of the series. India won the 2 test series 2–0. Sachin Tendulkar was declared the man of the series. First test was played at PCA Stadium in Mohali, Punjab 1–5 October 2010. India won by 1 wicket. Zaheer Khan was named as the man of the match. The first test was an instant classic. Australia made 428 in its first innings. Opening batsman Shane Watson scored a century and Wicket keeper Tim Paine made a 92 to lead the charge. In reply India's top order almost contributed equally with Sachin Tendulkar scoring 98 and Suresh Raina scoring 86. India made 405 in their first innings. Indian bowlers led a surge in the second Innings to rout Australia to 192. India were set a target of 216. Wickets started to fall in the evening of 4th day with Ben Hilfenhaus taking the key wickets of Gambhir, Sehwag and Raina. The score stood at 55/4 at the end of 4th day's Play with Tendulkar playing with night watchman Zaheer Khan. Australia started the 5th day well to remove Zaheer Khan first. VVS Laxman who played late down the order because of his back injury joined Tendulkar for the 6th wicket. They improved the scoring rate considerably. However Tendulkar was out for 38 trying to play an upper late cut off Bollinger. MS Dhoni then followed Tendulkar as he was run out following a confusion with Raina who was a by runner for VVS Laxman. The score stood at 122/7. Harbhajan too was out pretty quickly facing just two deliveries. It looked all but over for India. India were 124/8 with an injury-ridden VVS Laxman and Ishant sharma at the crease and only Pragyan Ojha to follow. India still needed 92 runs to win with just two wickets remaining at lunch. It looked like a lost cause to India. The post lunch session was one of the most dramatic sessions in Test history. VVS Laxman played one of his best knocks along with Ishant Sharma for most of the post lunch session. He was happy to give Ishant most of the strike with Ishant stone-walling the rest of the over. Occasional boundaries (mainly from Sharma) and early singles off every over had India slowly, but surely inching towards their target. In what seemed like forever, India crawled from 124/8 to 170, 180 and 190/8. Finally Ishant got out to a Ben Hilfenhaus lbw decision that replays showed was going down the leg side, with the score at 205. Pragyan Ojha, the last man for India joined Laxman at the crease. During Mitchell Johnson's over more drama followed with Ojha being clearly struck in line, but On-field Umpire Billy Bowden turned down the appeal. Pragyan Ojha tried to sneak a single when substitute fielder Steven Smith shied at the stumps. But unfortunately for Australia, no fielders where backing his throw. It went for four overthrows meaning India just needed 2 runs to win. At this point of time three results were possible (India win, Australia win and a Tie). Mitchell Johnson then strayed a delivery on to the leg side and Ojha did well to just push it past the wicket keeper. The Indian batsmen ran a couple and had won the match. VVS Laxman top scored in the second innings with an unbeaten 73 and once again proved himself a nemesis to Australia turning certain defeat into glorious victory similar to Kolkata 2001, Adelaide 2003 and Perth 2008. With this win it meant that India can hold onto the trophy even if it lost the next test match as India won the 2008/09 series 2–0. Second test was played at M. Chinnaswamy Stadium in Bengaluru 9–13 October. India won by 7 wickets. Sachin Tendulkar was named as the man of the match. Sachin Tendulkar was the most successful batsmen scoring 403 runs in four innings at an average of 134.33. Zaheer Khan was the leading wicket taker with 12 wickets in two tests. The first over of the second test, the 100th ever at the Sydney Cricket Ground. Australia won the first Test at the Melbourne Cricket Ground by 122 runs within 4 days. Australia scored 333 in their first innings with debutant Ed Cowan top scoring on 68. In reply India collapsed from 3/214 to 282 all out with Ben Hilfenhaus taking 5 wickets on his return to Test Cricket from injury. Australia then recovered from their own collapse to 4/27 with Ricky Ponting and Michael Hussey building a partnership of 115 in Australia's 2nd innings total of 240. India was set a target of 292, but regular wickets to the Australian pacemen saw them all out for 169. Man of the Match was awarded to James Pattinson with figures of 18*, 2/55, and 4/53. He also made 37*. The second Test started with India collapsing for 191 after winning the toss on day one at the Sydney Cricket Ground. Australia in reply scored 659/4 with Michael Clarke scoring a triple century (329 not out), Michael Hussey scoring 150 not out and Ricky Ponting scoring 134. In reply, India folded up when trailing by 68 runs. Sachin Tendulkar scored 80 as Australia won the Test. The third Test started with India batting first, but only managed 161 runs in the first innings. The Australians replied with 369, including a century from 69 deliveries from David Warner, the fastest century by an opener. In the second innings, the Indians were bowled out for 171, and Australia won the match by an innings and 37 runs. Australia leads the series 3–0, and have regained the Border–Gavaskar Trophy. The fourth Test started with Australia batting first, and notching up 7/604 declared with Michael Clarke and Ricky Ponting both scoring double centuries. India managed 272 runs in the first innings, with Virat Kohli scoring his maiden Test century. Australia did not enforce the follow-on, batting 5/167 declared to set India a target of 500 runs. India was bowled out for 201, 298 runs short. The player of the match was Peter Siddle, and the player of the series was Michael Clarke. In the first match of the series, Australia won the toss and batted first and scored 380 in the first innings. They started really well in the innings but Ravichandran Ashwin ripped through the middle order to restrict them. The Indian team started their first innings in a shaky manner by losing two early wickets. However, Sachin and Cheteshwar Pujara took the score over 100. After losing Pujara, India was again in a bad condition but Kohli scored a hundred and was not out on day 2. MS Dhoni scored a fantastic 224 to give India a strong lead. In their second innings, the Australians quickly lost their wickets to the Indian spinners. At one time, they were 180/9, however, Moises Henriques' 81* took the total score to 241. India chased down the target of 50 with the loss of two wickets and won the match. MS Dhoni was judged man of the match for his 224 in the first innings. In the second test, the Australian batting order collapsed and captain, Michael Clarke, took a surprising decision to declare their innings at 237/9 in the hope to let India play the remaining three overs of the day. But India were 5–0 at the end of three overs. India lost Virender Sehwag early next day but a fantastic partnership between Murali Vijay and Cheteshwar Pujara saw India surpass a total of 500. Pujara scored 204 runs while Vijay scored 167. In their second innings, the Australian batting order collapsed for a mere 131 and India won the match by an innings and 135 runs, thus, gaining a lead of 2–0 in the series. Cheteshwar Pujara was judged man of the match for his 204. The first day of the third test at Chandigarh was washed away by rain. This time Australia did well to score above 400 with half centuries by Ed Cowan and David Warner while Steven Smith and Mitchell Starc missing out on centuries. Starc missed it for 99 and out while Smith was out on 92. But debutant Shikhar Dhawan who had come in for Sehwag made a record 187 runs on debut and became the highest run scorer for India while playing on debut. Vijay also hit consecutive centuries and took the total to 499. The Australian team were dismissed for 223 after the good work by the bowlers and India got a target of 133 on the last day. With wickets falling at regular intervals and shortage of time, the match had become thrilling whether India would win or the match be drawn. But Jadeja and Dhoni ensured the 3–0 series win. Debutant Shikhar Dhawan was judged man of the match. The fourth test saw a fighting spirit by the Aussies when they scored 262 but dismissed India for 272 and not letting them take a lead bigger than 10 runs. The first two days were filled with sledging by the Aussies. On day two, it was being said that the match was evenly poised but continuous collapse of Australia on day three did not enable them to set a good target despite a fifty by Peter Siddle in both the innings which created a record for half-centuries in both the innings of a test match by a number 9 batsman. India got a target of 155 and they achieved it easily on the same day with contribution from Kohli's 41, Dhoni's 12 not out and Pujara not out on 82. Dhoni hit the winning runs and India created history by winning four test matches in a series for the first time ever in their test history. Ravindra Jadeja was awarded the Man Of The Match award for his career best 5–58 and Ravichandran Ashwin was named the Man Of The Series for getting 29 wickets in four matches. In the first match of the series, Australia won the toss and batted first, scoring 517/7d in the first innings. This was the Test captaincy debut for Virat Kohli. The Australian batting started the innings with fireworks, with David Warner's 145 run knock in just 163 balls. Steve Smith played an unbeaten innings of 162. Day 2 was wasted due to rain. During the third day the Indian batting order managed to score 444, conceding a lead of 73 runs to Australia, with Virat Kohli scoring 115 runs. Australia then scored 290/5d in their second innings, with David Warner again scoring a ton. In the fourth innings, India were bowled out for 315, despite another Kohli ton, handing a 48 run win to Australia. Nathan Lyon was declared the Man of the Match for his 12-wicket haul. The second match was again won by Australia, giving them a 2-0 lead in the series. The final two tests were drawn, meaning that Australia won the series 2-0, and regained the Border-Gavaskar trophy. The first test was considered as a tribute to Australian cricketer Phillip Hughes. The tribute was given by wearing a black band which had 408 written on it, which was the cap number of Hughes. The batsmen gave him tribute on scoring landmarks and scoring 63 runs. Hughes died after being struck by a bouncer playing for South Australia in a Sheffield Shield game, while he was being widely being considered as a long-term Australian Test representative. In the first match of the series, Australia won the toss and batted first. DRS is being used for the first time in the Border–Gavaskar Trophy in this series, although HotSpot is not used. Australia played the first test match in Pune. Australia had a sensational win in the match by 333 runs courtesy of 12 wickets of Steve O'Keefe. In the second Test Match that took place in Bangalore, Nathan Lyon took 8 for 50 in India's first innings, as Australia dominated day one. But with the two fifties of opener KL Rahul, 92 runs by Cheteshwar Pujara and six wicket haul by Ashwin seal the second match for India to win by 75 runs and level the series 1-1. Third test was drawn and fourth test was won by India to complete their seventh title of Border-Gavaskar trophy by winning the series 2-1. Heading into the 2018–19 series, Australia was without its top-order batsman David Warner, Steve Smith and Cameron Bancroft due to the 2018 Australian ball-tampering scandal in Cape Town against South Africa. Ishant Sharma prior to the start of the series, stated "That’s the biggest opportunity for us right now". This was proven with Australian media stating that it was the best opportunity for India to win the trophy and the series in Australia. The first test in Adelaide saw Cheteshwar Pujara score 123 and 71 in both innings of the match to give Australia a considerable target of 322. Despite the attempts of the Australian tail towards getting a late Day 5 victory, it would be India who would win by 31 runs to record their first win in Australia since 2008. The second test was held at the new Perth Stadium and saw Australia levelling the series at 1-1 with a 146 run win. This was done by Nathan Lyon eight wickets in the two innings as he received the man of the match. During that match, Virat Kohli scored his 25th century as he scored 123 in the first innings as India tail-enders collapsed in the second innings with Lyon and Starc doing the damage as India collapsed for only 140. The third test in Melbourne saw Pujara getting his second century of the test series as he scored 106 to lead India to declare at 7/443. Australia couldn't chase 443 down with the team falling by 137 runs after Jasprit Bumrah took 6-33 in the first innings to bowl Australia out for 151 before adding another three wickets in the second innings to receive the man of the match. This win meant India retained the Border-Gavaskar Trophy and could create history by being the first Indian team to win in Australia. The fourth and final test at Sydney would end in a draw but not before Pujara top scored for India in their only innings with 193 as he had help from Rishabh Pant who scored 159. India would bowl Australia out for 300 which forced a follow on for the first time since 1988 as the match would be rained out. Pujara would be the player of the series after scoring 521 runs over the whole series. ^ a b "Records / Border-Gavaskar Trophy / Series results". espncricinfo.com. Retrieved 7 January 2018. ^ "Border-Gavaskar Trophy Most Runs". Retrieved 1 January 2019. ^ "Border-Gavaskar Trophy Most Wickets". Retrieved 1 January 2019. ^ "India vs Australia in tests". Cricinfo. Retrieved 30 September 2012. ^ "Australia in India: Feb – Mar 1998". Usa.cricinfo.com. Retrieved 22 June 2012. ^ "1st Test: India v Australia at Chennai, Mar 6–10, 1998 | Cricket Scorecard | ESPN Cricinfo". Usa.cricinfo.com. Retrieved 1 January 2019. ^ "2nd Test: India v Australia at Kolkata, Mar 18–21, 1998 | Cricket Scorecard | ESPN Cricinfo". Usa.cricinfo.com. Retrieved 1 January 2019. ^ "3rd Test, Australia tour of India at Bengaluru, Mar 25-28 1998". ESPN Cricinfo. Retrieved 1 January 2019. ^ "HTCricket.com: A special HTCricket section celebrating Sachin Tendulkar's 100th Test". Hindustantimes.com. Archived from the original on 15 October 2012. Retrieved 22 June 2012. ^ Vasu, Anand (30 November 1999). "What will the Australian victory margin be?". ESPN Cricinfo. Retrieved 14 July 2017. ^ "1st Test, India tour of Australia at Adelaide, Dec 10-14 1999". ESPN Crcinfo. Retrieved 3 January 2019. ^ "2nd Test, India tour of Australia at Melbourne, Dec 26-30 1999". ESPN Cricinfo. Retrieved 3 January 2019. ^ "3rd Test, India tour of Australia at Sydney, Jan 2-4 2000". ESPN Cricinfo. Retrieved 3 January 2019. ^ "India in Australia, 2003/04 – Schedule". Cricket.org. 17 June 2008. Archived from the original on 22 December 2003. Retrieved 22 June 2012. ^ "1st Test: Australia v India at Brisbane, Dec 4–8, 2003 | Cricket Scorecard | ESPN Cricinfo". Usa.cricinfo.com. Retrieved 22 June 2012. ^ "2nd Test: Australia v India at Adelaide, Dec 12–16, 2003 | Cricket Scorecard | ESPN Cricinfo". Usa.cricinfo.com. Retrieved 22 June 2012. ^ "3rd Test: Australia v India at Melbourne, Dec 26–30, 2003 | Cricket Scorecard | ESPN Cricinfo". Usa.cricinfo.com. Retrieved 22 June 2012. ^ "4th Test: Australia v India at Sydney, Jan 2–6, 2004 | Cricket Scorecard | ESPN Cricinfo". Usa.cricinfo.com. Retrieved 22 June 2012. ^ "Six DRS moments that shaped the Bengaluru Test". ^ "India v Australia Test series: DRS to get the green light". ^ "HotSpot absent as Kohli lbw puzzles India". ^ "O'Keefe, Smith set up famous Australia victory". ^ "Ashwin fastest to 25 five-fors in Tests". ^ "Cricket Australia Statement on investigation". Cricket Australia. Cricket Australia. Retrieved 31 March 2018. ^ "India vs Australia: Ishant Sharma spells out Team India's mantra ahead of first Test". Hindustan Times. 28 November 2018. Retrieved 4 February 2019. ^ Jacob Polychronis (3 December 2018). "Ultimate Guide: Everything you need to know about Australia's Test series against India". Fox Sports Australia. Retrieved 4 February 2018. ^ Andrew McGlashan (9 December 2018). "Bumrah stars but Australia's tail makes India sweat for famous victory". ESPN Cricinfo. Retrieved 4 February 2019. ^ "Australia v India: Tourists claim first Test win in Australia since 2008". BBC. 10 December 2018. Retrieved 4 February 2019. ^ "1st Test, India tour of Australia at Adelaide, Dec 6-10 2018". Retrieved 4 February 2019. ^ "Langer looks to pacemen and hopes for fiery Perth Stadium debut". ESPN Cricinfo. Retrieved 14 December 2018. ^ Varun Shetty (17 December 2018). "Nathan Lyon, Mitchell Starc blow away lower order to level series for Australia". ESPN Cricinfo. Retrieved 4 February 2019. ^ "2nd Test, India tour of Australia at Perth, Dec 14-18 2018". Retrieved 4 February 2019. ^ "India retain Border-Gavaskar trophy after cleaning up Australia on day five". The Guardian. 30 December 2018. Retrieved 4 February 2019. ^ "3rd Test, India tour of Australia at Melbourne, Dec 26-30 2018". Retrieved 4 February 2019. ^ "Australia follow-on at home for first time in 31 years". 6 January 2019. Retrieved 7 February 2019. ^ "4th Test, India tour of Australia at Sydney, Jan 3-7 2019". Retrieved 4 February 2019. ^ India Today Web Desk (7 January 2019). "India vs Australia: This is the best I have ever batted, says Cheteshwar Pujara". India Today. Retrieved 4 February 2019.